Clipping for pre-auricular tags - what ear problems can be clipped & when? 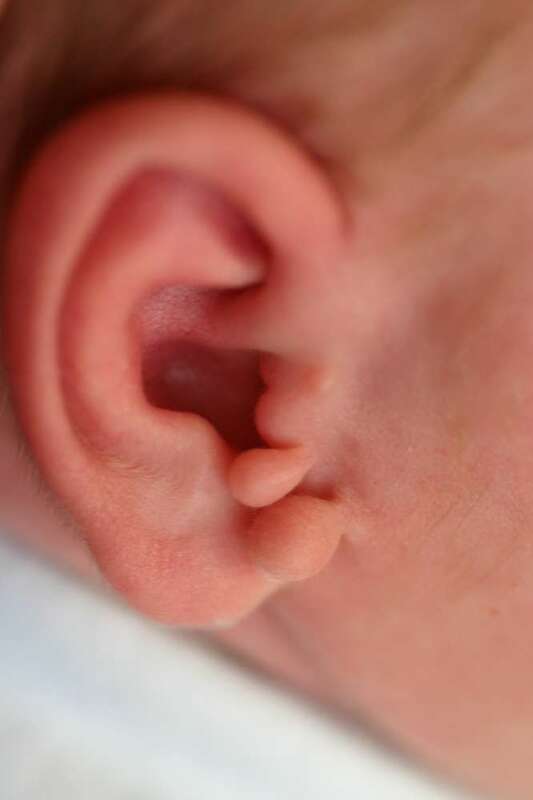 Pre-auricular skin tags, small lumps of extra tissue in front of a baby's ear, on one or both sides, are very common. Sometimes the tags are purely skin only, but usually the tag contains a long tail of cartilage extending into the cheek. It is not be possible to tell whether the procedure could be done simply or whether it would require a general anaesthetic until Mr Gault examines your baby. If a general anaesthetic is required, then it would usually be recommended that the procedure is left until your child is older. If the "stalk" of the tag is relatively narrow, and the cartilage component relatively minor, tags can be removed soon after birth using an elegant clip device which requires no anaesthetic. The clip cuts off the blood supply to the tag, and after a few days, the additional tissues shrivel and separate. 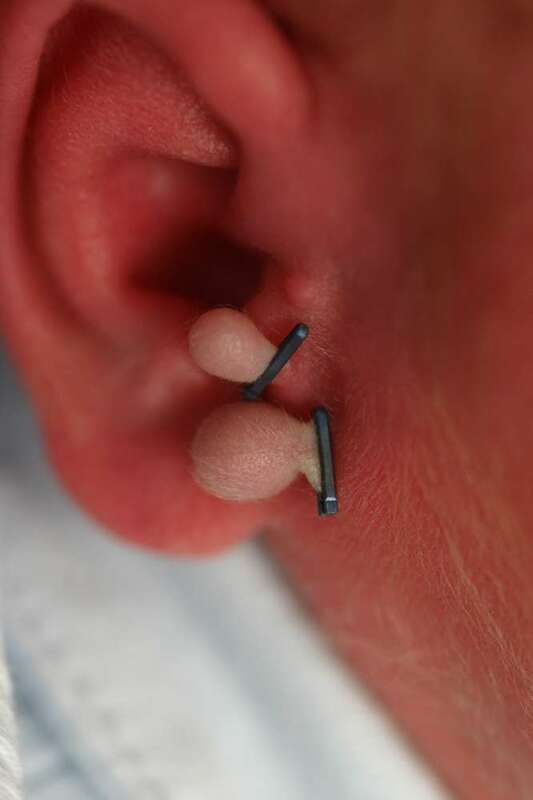 The sooner after birth the clip is applied, the better, and parents considering the removal of their new baby's pre-auricular deformity are recommended to make an early appointment. Tags with a substantial cartilage core are best treated by excision of the skin tag and cartilage spindle under general anaesthetic preferably when baby is over the age of 2 or 3 years.